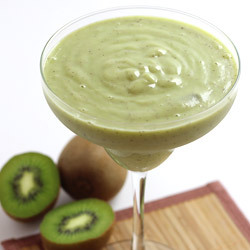 Kiwifruit Juice, a vitamin and minerals rich fresh fruit juice of kiwi is every fruit lover’s delight. 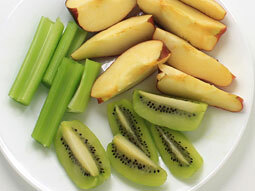 Juicy kiwifruit can be mixed with any other fresh fruit to make healthy and tempting juice. This recipe uses fresh and ripe kiwis, apple and celery, however, you can replace apple with any other sweet fruit of your choice for a variation. 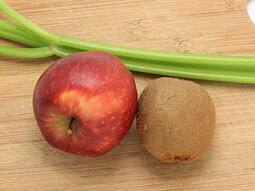 Wash kiwi, apple and celery in running water and pat them dry. Peel kiwi and cut into slices. Cut apple into long slices and remove the core. Cut celery into long pieces. 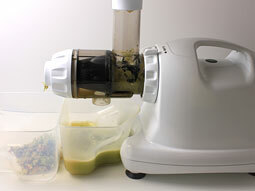 Keep an empty container under juice extractor nozzle and process apple, celery and kiwifruit slices through the juicer. 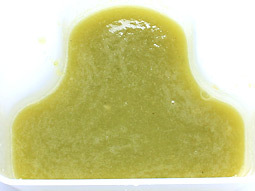 The “omega” masticating juicer is used in this recipe. 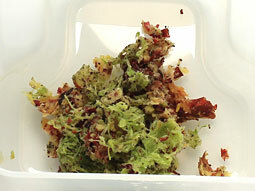 Add 1-2 ice cubes in a serving glass, pour prepared juice over it and serve. Choose a ripe kiwi by pressing it a bit and check whether it is soft or not. Do not choose ones which are too hard or too soft. Replace apple with pear for a new exciting taste. You can also add spinach, kale, carrot, mango, orange, berries, etc. to make mixed fruit juice. 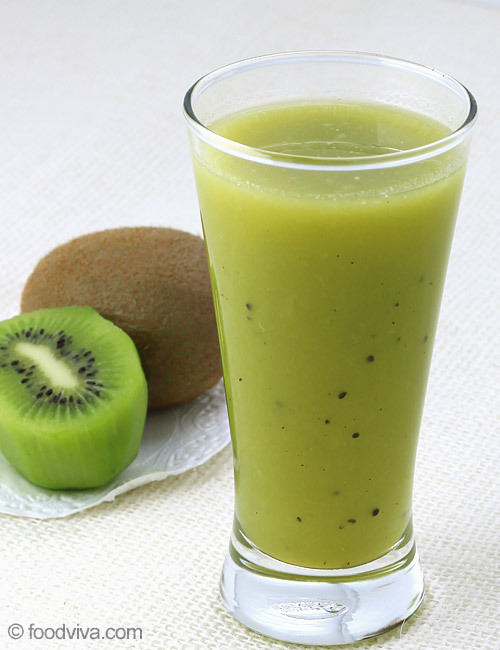 Use organic kiwifruit to make organic kiwi juice. Serving Ideas: Enjoy this beverage as a breakfast drink to kids and adults. Today I tried the buah long long juice. It has many benefits. It is refreshing and detoxes the body. Also, good for the eyes. Since I like to smoothie and juice daily I just keep searching online for more recipes. Today I found your website. Waw!! Just delicious I really enjoyed this kiwi juice and will be making it a lot! Thank you for sharing this recipe! I thoroughly enjoyed it. Response: Welcome Zuleika, glad you liked the kiwi juice. Just had kiwi fruit juice this morning. It is so refreshing and I felt so good after having it.